The Zapier integration enables you to automate your tedious tasks within your workflow of choice so that you and your team can focus on what really matters. Dial new numbers, send emails for inbound calls, it’s totally up to you! 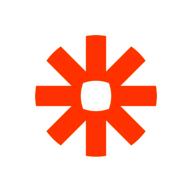 The Zapier - Aircall integration allows you to manage your calls anyway you’d like. Receive notifications on your call activity in your inbox, Slack, CRM or helpdesk.